The most versatile thermostats. A wide range of temperature can be set: low temperature to high temperature. It is designed to be used at current from microcurrent to high-current, with a variety of lineups. A variety of line-ups of terminals, caps, and attachment fittings are available. The best specifications can be chosen by combining options that meet your needs. 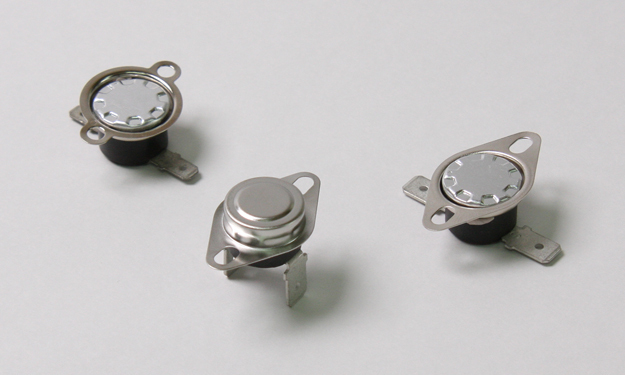 With regard to current rating, standard type, microcurrent type, and high-current type are available. With regard to operating temperature, standard type (MAX150°C) and high temperature type (MAX220°C) are available. Any value can be specified within the range that satisfies the differential.